Cherries just taste like summer to me, ripening just about the time school lets out. They were also the first fruit to ripen on our family farm, and my mother would bring home baskets of black cherries to freeze for the winter. She would send my brother and me outside, nearly naked, to pit (and eat!) cherries. We would get completely covered in black cherry juice! There was an ancient cherry tree in our yard, too, and we would climb dangerously high to pick the fruit and eat it where we sat. It was those memories, plus the fact that I just love ice cream (and chocolate!) that inspired me to create this recipe. It’s easy to make with an electric ice cream maker–this is the one I have (affiliate link)–and I love it! Plus, it uses fresh cream, only a little honey for sweetener, and of course cherries–which are a fruit–so, if it’s not exactly a health food, at least it’s a healthier, real food option for a sweet summer treat. Yeah, okay, I might have given it to my kids for lunch the other day. 3 cups of the best heavy cream you can find — not ultra pasteurized. You can substitute up to 1/2 cup of the cream with whole milk, if you prefer. Beat the egg yolks, then add in the honey and the cream–whisking by hand works great! Add in the arrowroot powder, and then the gelatin. Technically the gelatin is optional, but I was inspired by the Homestead Lady, to add it in to keep the ice cream from freezing rock-solid in the freezer–always assuming it makes it to the freezer! It works best if you chill the cream-honey mixture in the refrigerator for a couple hours before trying to make the ice cream. Chop up the cherries and chill them, too. When you’re ready, give the cream-honey mixture another quick stir–sometimes the honey sinks to the bottom–and pour it into your ice cream maker, as per its instructions. When the ice cream starts to freeze (again, following the ice cream maker’s instructions) add the cherries and the chocolate chunks. When the ice cream is frozen, put it in a freezer-safe bowl, and put it in the freezer. Or you can eat it right out of the ice cream maker, though it might still be a little soft! And I would love for you to leave me a comment! 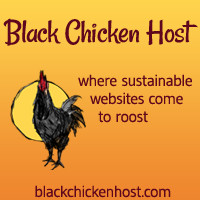 This post has been shared at Tuesdays with a Twist, the Backyard Farming Connection, and Hearth & Soul. And at Green Thumb Thursday, the HomeAcre Hop, Full Plate Thursday, the Pennywise Platter, and Fabulously Frugal Thursday. 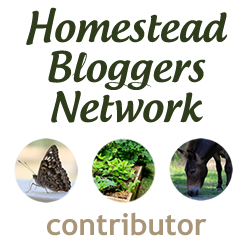 This post has also been shared at Savoring Saturdays, Simply Natural Saturday, the Homestead Barn Hop, Nomday Monday, Thank Goodness It’s Monday, Mostly Homemade Mondays, and Natural Living Monday. And Tasty Tuesday at the HBN, Tuesday’s Table, Fat Tuesday, The Gathering Spot, VMG206: Brag About It, In and Out of the Kitchen, Naturally Sweet Tuesday, and Tasty Tuesday. And Waste Not Want Not Wednesday, Allergy Free Wednesday, Gluten-free Wednesdays, Wellness Wednesday, Whimsy Wednesday, Real Food Wednesday, the Mountain Woman Rendezvous, and Raising Homemakers. And at Simple Saturday, Snickerdoodle Sunday, Simple Life Sunday, Gratitude Sunday, the Clever Chicks Blog Hop, the Heritage Homesteader’s Hop, and Made By You Monday. And Front Porch Friday, Old-Fashioned Friday, Farmgirl Friday, and the From the Farm Blog Hop. And Fight Back Friday, Natural Family Friday, and Real Food Fridays. Tagged cherries, cherry ice cream, chocolate chunks, homemade ice cream, real food ice cream. Bookmark the permalink. Your Cherry Chocolate Chunk Ice Cream looks fantastic! Thanks so much for sharing this awesome recipe with Full Plate Thursday. Hope you have a great week and come back soon! I adore cherries and have lovely childhood memories of picking them with my dear late Auntie Irene. We’d pick and eat cherries from the tree in her garden, wearing the ones that were connected over our ears as earrings. Your ice cream sounds fantastic and I love all the wholesome ingredients you have used. It’s wonderful that you were able to avoid refined sugars in this recipe, Christine. I don’t think I’ve ever worn cherry “earrings” … suddenly I feel deprived! Thanks for coming over; your comments always make me smile! Mmm, that looks delicious! Thanks for linking up at the homeacre blog hop. Be sure to stop by PintSizeFarm.com to link another post up this week (thursday)! And thank you for the invite. I just popped over to share this recipe! Miz Helen said this was good so I came over to check it out. I pinned it. This looks so good! Your recipe will be featured at Savoring Saturdays when it goes live at 7 pm tonight. Thanks for linking up with us! This looks perfect for Summer and so so yummy! Thank you so much for linking up at Tasty Tuesday! Your recipe has been pinned to the Tasty Tuesday Pinterest board! Please join us again this week! Looks wonderful! Pinned to 2 boards! This looks delicious! Found you on Snickerdoodle Sundays! Super yummy! Just what you need to cool off on a hot summer day! 🙂 Thanks for sharing with us! Oh yes, I want to try this for sure! We don’t have an ice cream maker, but we just freeze the mixture in a baking dish and it turns out great! What does the arrowroot do in the icecream? I haven’t seen that in any other recipes. I see where you explain what the gelatin does, but does it have to be the green can or would the red can work too? We’ve been making lots of ice cream so far this summer and this combo looks great! So far all the ice cream recipes I have ever done are based on the ice cream recipe in Nourishing Traditions (http://amzn.to/1d8Q9Ls — affiliate link), which calls for arrowroot powder. Normally in a recipe, arrowroot powder helps things gel or solidify, but smoothly, and I think that is what it is doing here. Before I started using it my ice cream always seemed a bit grainy to me. If you do try it with the red can, let me know how it works! Yum! sounds so refreshing for a hot summer day. Thanks for sharing on Real Food Fridays Blog Hop! Hi neighbor! This sounds AMAZING! I’ve never thought to add gelatin! What a great idea to boost nutrition as well. Chocolate cherry chunk is my favorite flavor right now. The little guy and I plan to make a big batch of ice cream tomorrow so I think this will have to be one of the flavors we make. Usually mint chocolate chip is our go-to (and we love the Enjoy Life chips)! I saw that!! I haven’t tried with fresh mint, but you know I have a yard full of it! I bet I could do a lemon chip too with my out-of-control lemon balm. Holy cow – making this tomorrow!!! Is the arrowroot powder to thicken it? Looks so yummy!